Technology may be considered by some a necessity. Others may consider it something fun and useful. But can technology be considered romantic? In Jessica Nicole (Nikki) and Nathan’s case, the answer is yes. 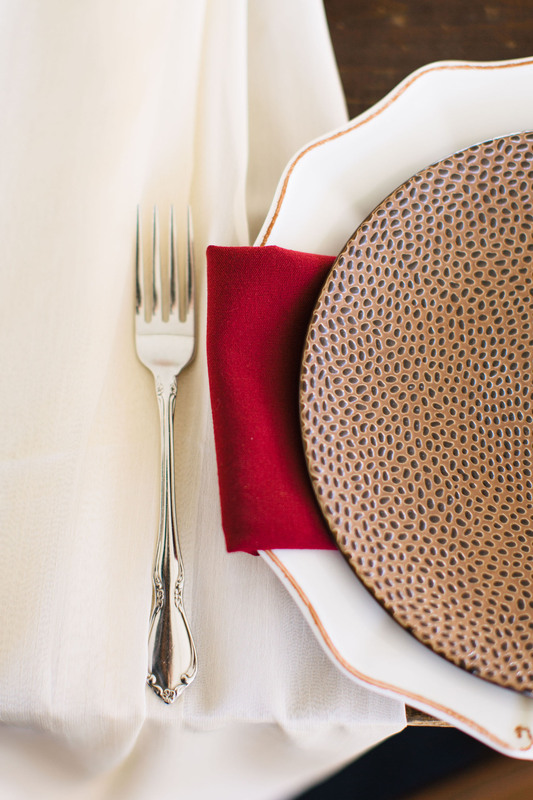 Technology is what first brought the couple together. 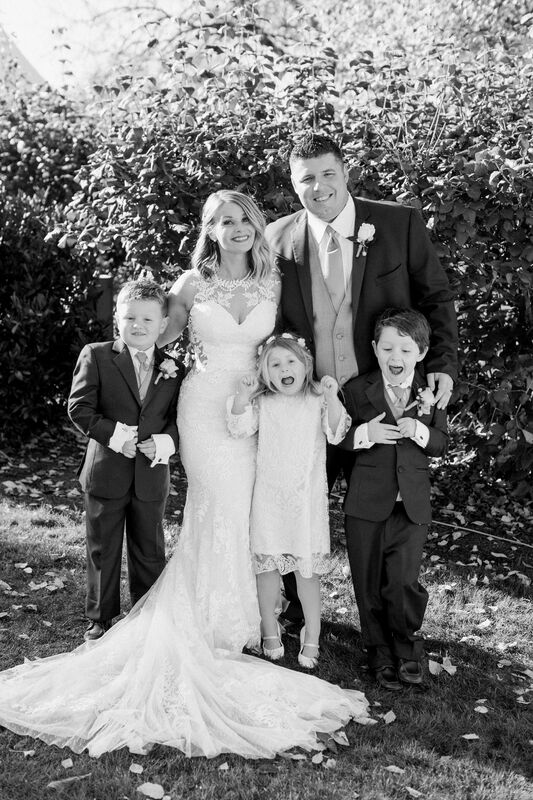 “We met through an online dating site,” Nikki explained. “Some would say that’s a modern-day romance. 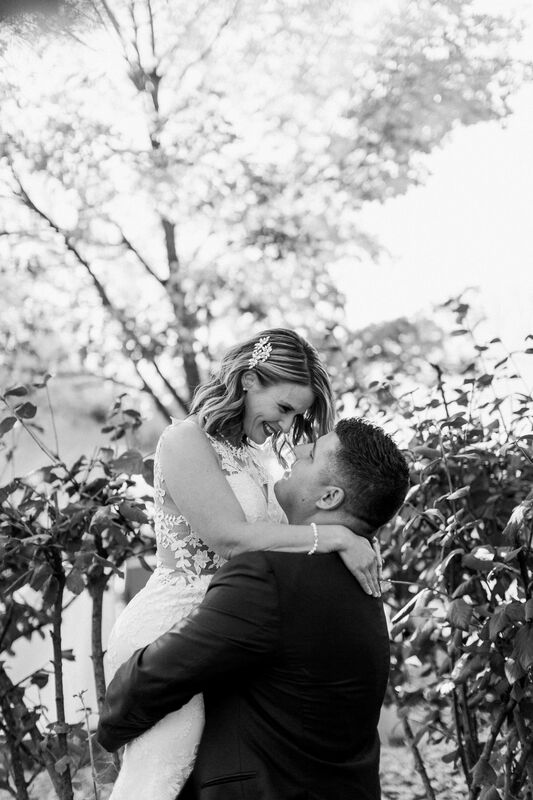 Technology at its finest.” After meeting online, their first date was a month later at Calhoun’s on the River, and things rapidly progressed from there. 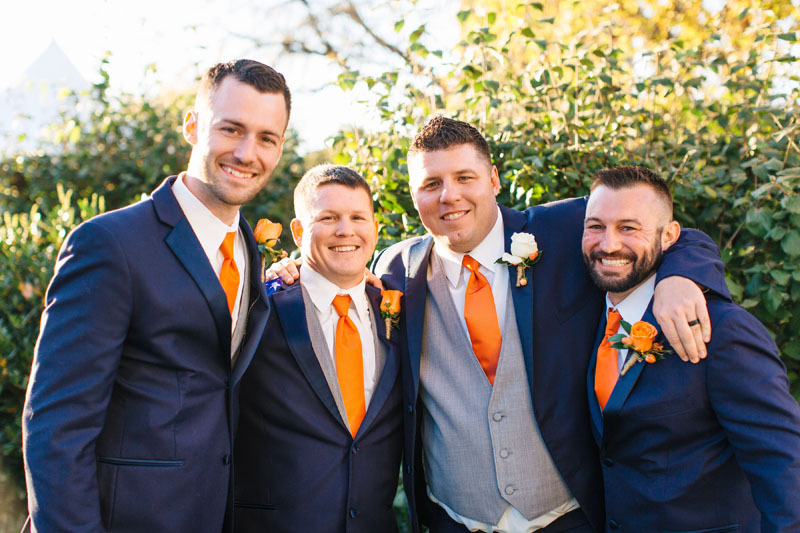 Engaged on July 3 at a gender reveal celebration, their soon-to-follow wedding plans became another exercise in technology. 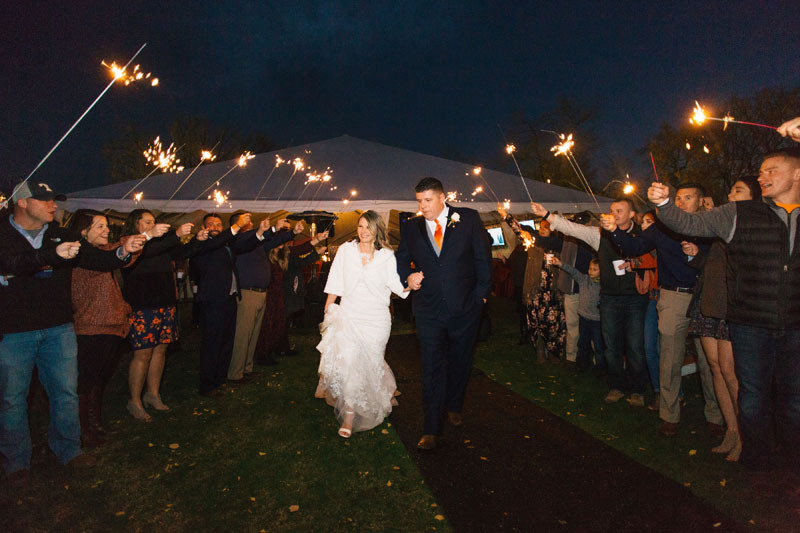 Having heard about a contest called “Tailgate Tennessee Wedding,” Nikki and Nathan decided to give it a try. 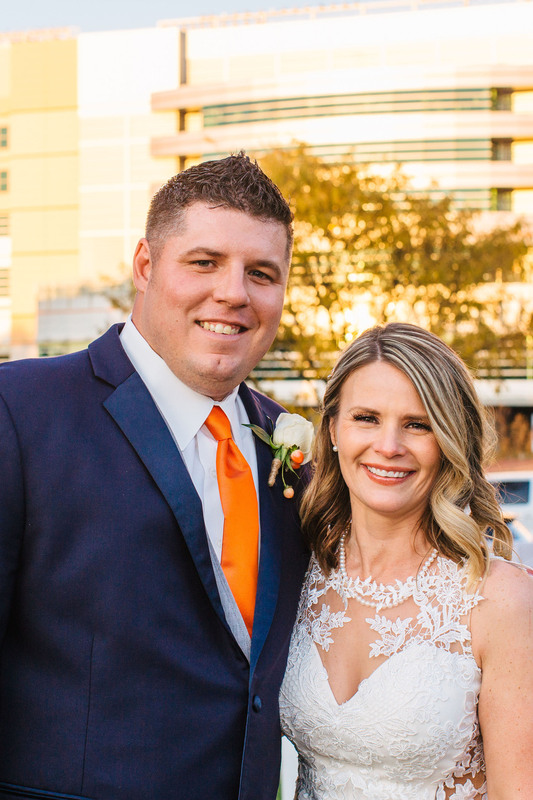 Tailgate Tennessee, in conjunction with All Occasions Party Rentals and the Erik Ainge Show on WNML-AM/FM, gave away a tailgate wedding for a winning couple and 100 guests. 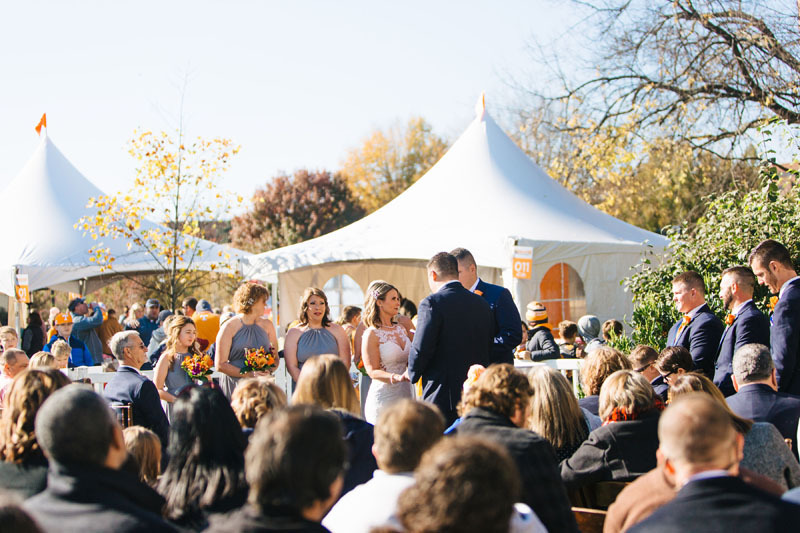 The winning couple would be married at Tailgate Tennessee in Circle Park before the Tennessee vs. Kentucky game for a wedding giveaway package value exceeding $30,000. 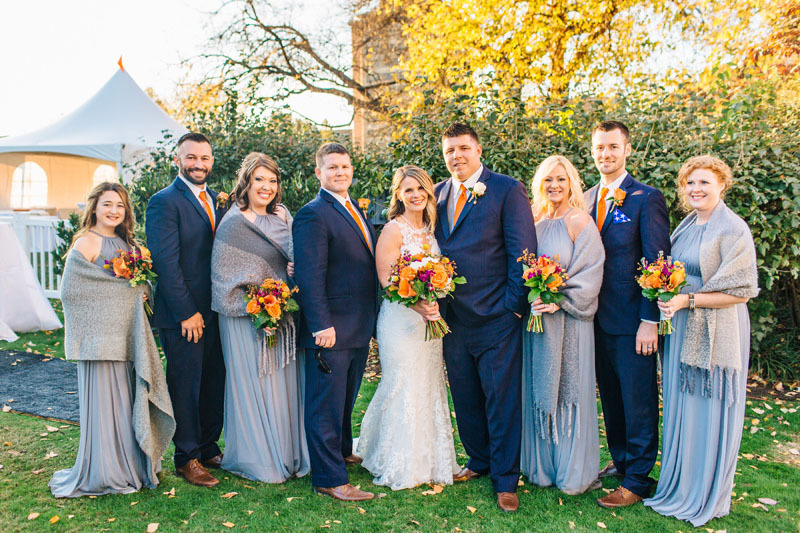 Three couples were chosen as finalists and attended a live remote of the Erik Ainge Show at All Occasions at which time the winner was selected. 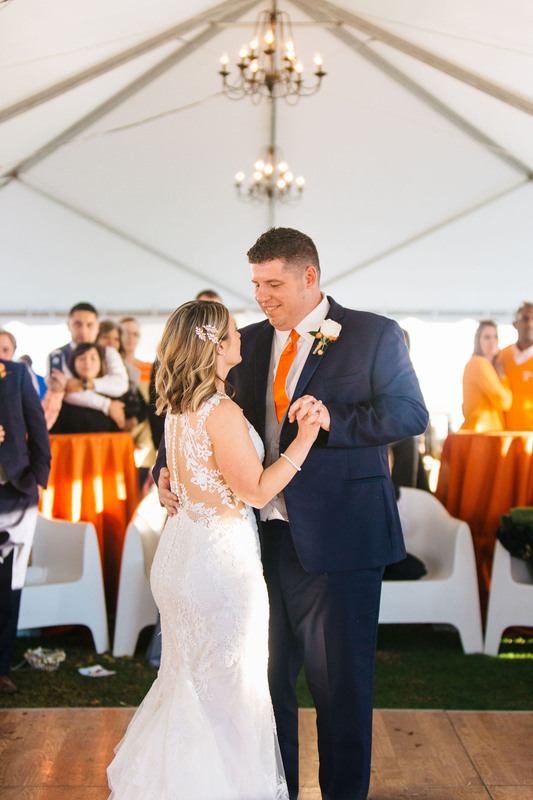 To enter, couples recorded a video explaining why they should win, then uploaded that video to Facebook, Twitter, Instagram or YouTube using the hashtag #TailgateTNWedding. So once again, technology came through and Nikki and Nathan were chosen as the winners. 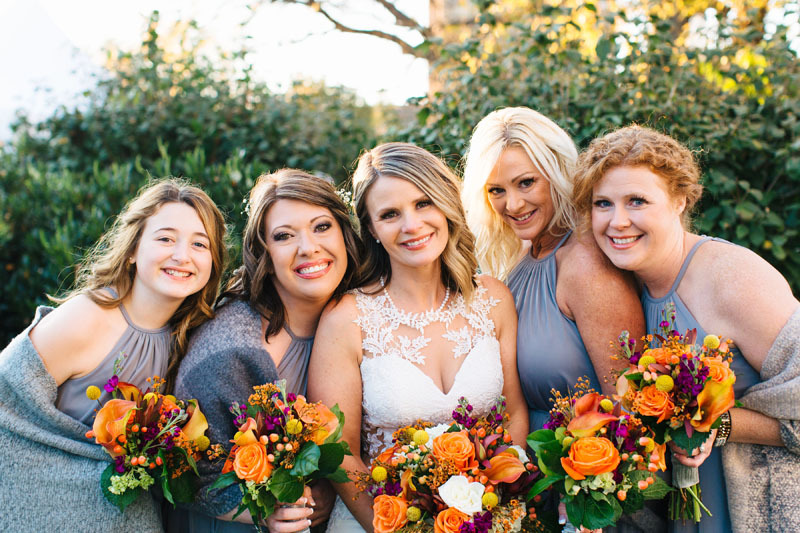 With a fall theme and burnt orange, gold, white and maroon color scheme, both the wedding and reception were romantic, rustic and fun. 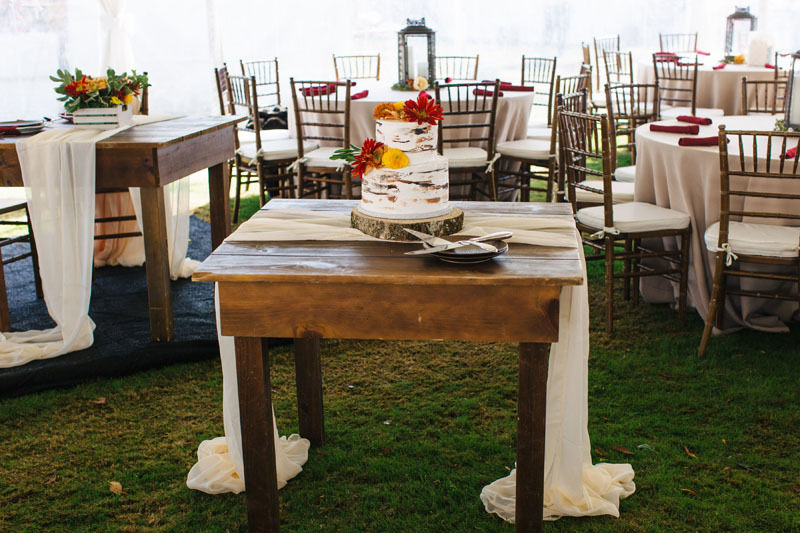 The bride’s classic romantic dress mirrored the theme, as did the rustic two-tier wedding cake with a wooden coaster. 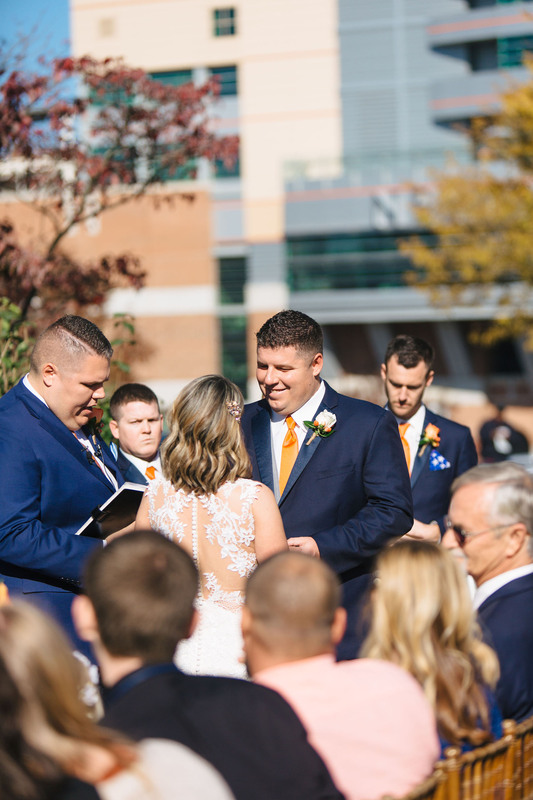 When asked what will stick out in their minds most, Nikki recalled that during her vows, “Rocky Top” started playing for the Vol Walk.